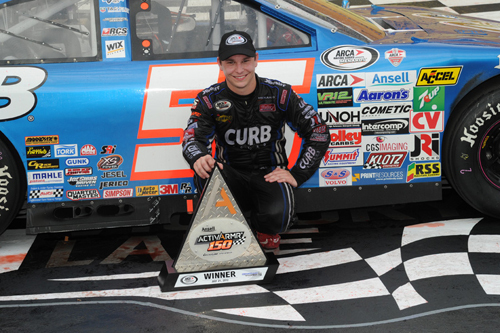 Kevin Swindell celebrates his first ARCA Racing Series victory after winning at Chicagoland Speedway. 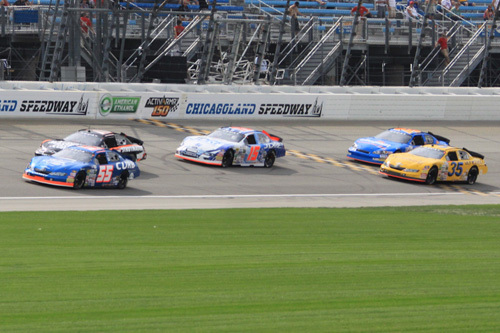 Kevin Swindell (55) leads Matt Lofton (hidden), Ryan Reed (15), Nelson Canache (35), and Spencer Gallagher (hidden, back) at the green flag. 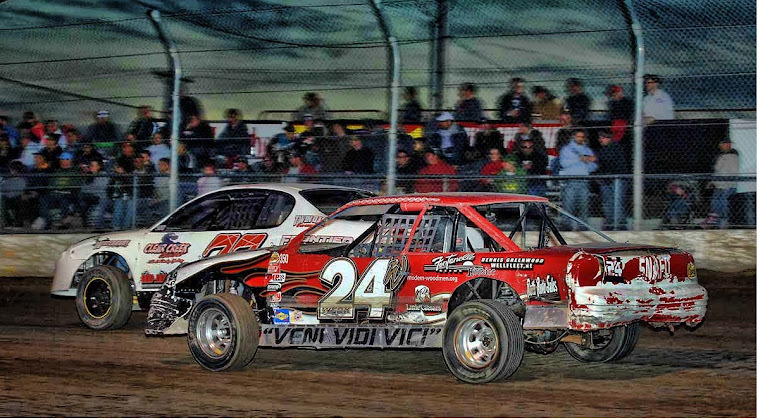 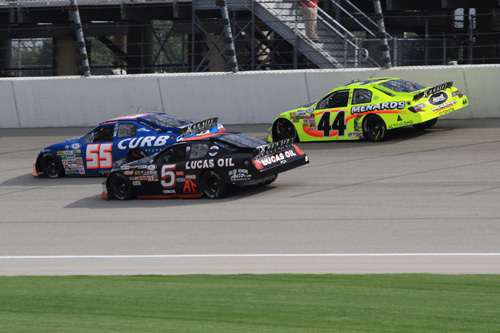 Kevin Swindell (55) leads Bobby Gerhart (5) and Frank Kimmel (44) on a restart at Chicagoland Speedway. 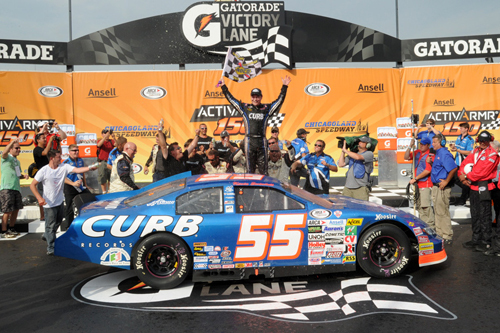 Kevin Swindell waves the checkers from victory lane after dominating the ARCA 150 @ Chicagoland Speedway.